I’m back! I wasn’t able to update my blog for a few days. For this, I apologize. But really, I just wanted you to miss me a little and for me to miss my blog as well. I believe one has to go on this little breaks, you know? Else, it can get pretty tiring and it’ll start feeling like a job you HAVE to do and not something you WANT to do. Don’t get me wrong. I wasn’t slacking off. My trip to Hong Kong last weekend was partly for work. But still, it was a refreshing break from my laptop. Now, I’m feeling inspired and ready to go! 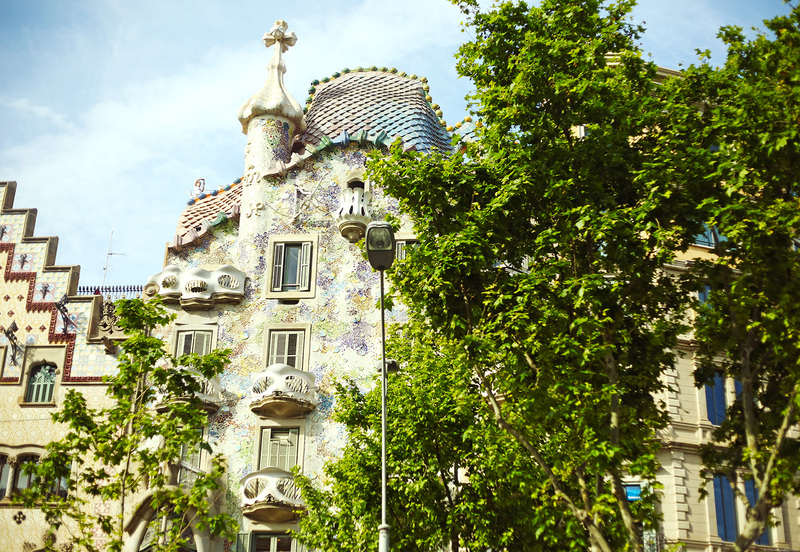 To start the week right, here’s the travel post I promised about the small Barcelona tour Sandy and I joined in. 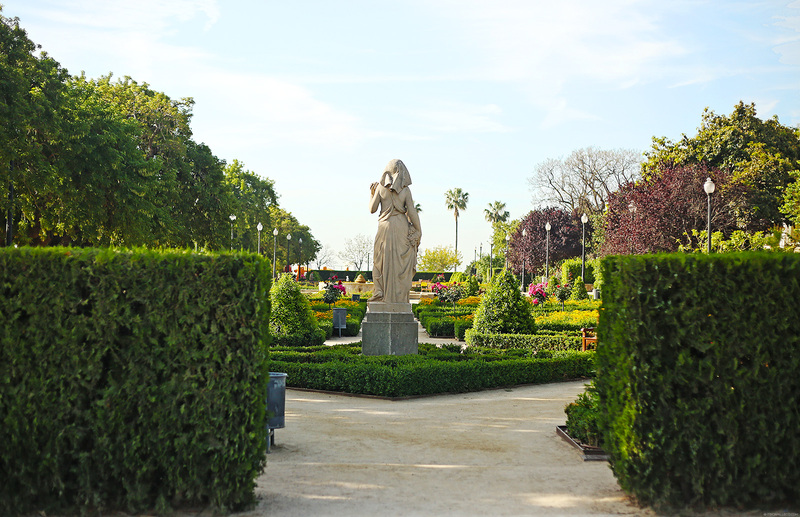 The tour included stops at Parc de Montjuïc (located on top of a hill where you can see the rest of Barcelona), MNAC (which you’ve seen a lot of in my previous Pronovias posts), Gothic Quarter or Barri Gòtic and La Sagrada Familia. There are more sights to visit around the city but because we had limited time, these were good enough. I just showed the rest to Sandy whenever we drove passed them. Let’s begin with the brightest star of them all, shall we? Gaudí’s La Sagrada Familia. Oh gosh, where to begin? I took so many photos that I even considered making a blog post solely about this famous church. Everything here has a story behind it–every single detail. I wish I can explain all of them to you but it’ll take us forever. Besides, let’s face it, my friend Google is so much better with that. Instead, I’ll just tell you the little tidbits I found interesting. 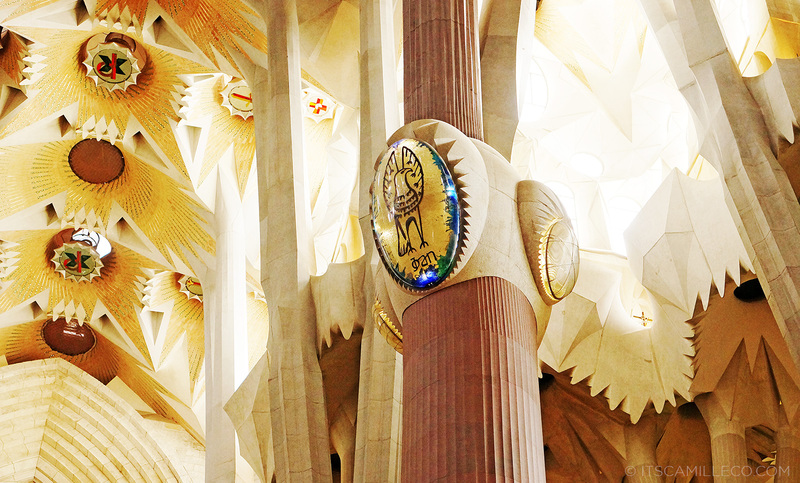 La Sagrada Familia is really like no other. 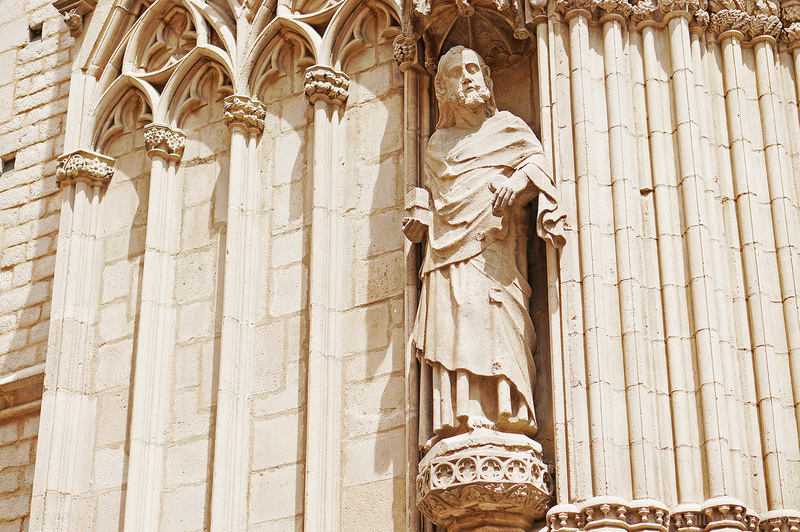 There are 3 grand façades that make up the church’s exterior, namely the Nativity façade, the Passion façade and the Glory façade (still to be completed). Majority of what you see here is the Nativity façade, depicting scenes of the birth of Christ and His early life. 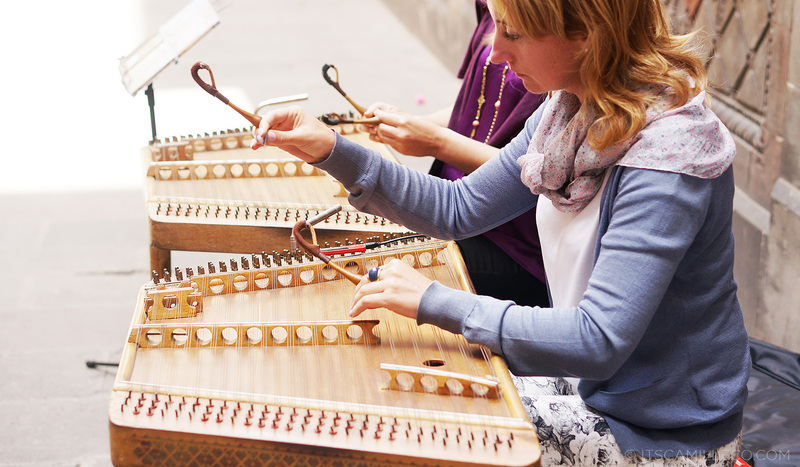 Obviously with such an intricate design, a project like this takes years to be completed. 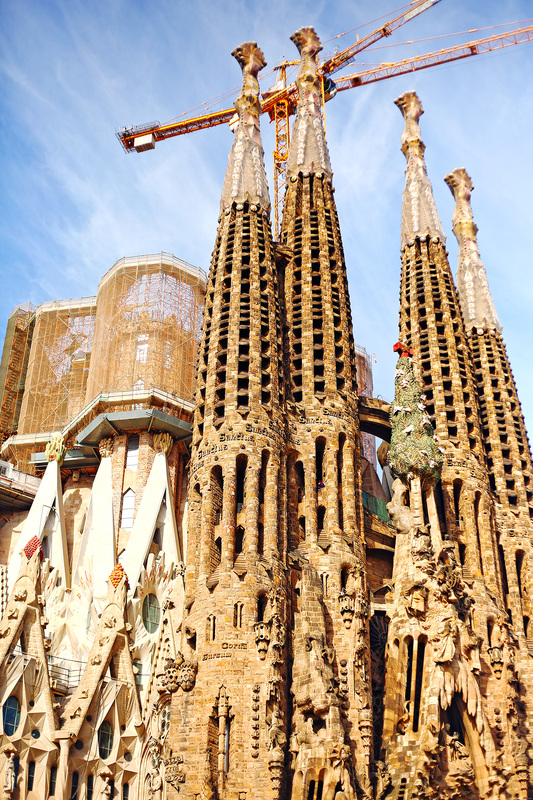 La Sagrada Familia started construction in 1882 and is expected to be completed in 2026 or 2028. 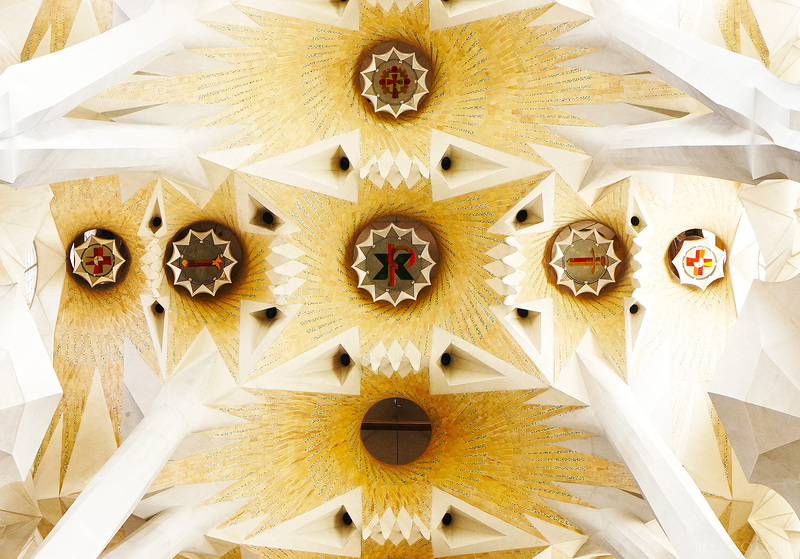 Gaudí knew he wouldn’t live to see this happen which is why he made really detailed plans so that other architects can still continue the project without him. 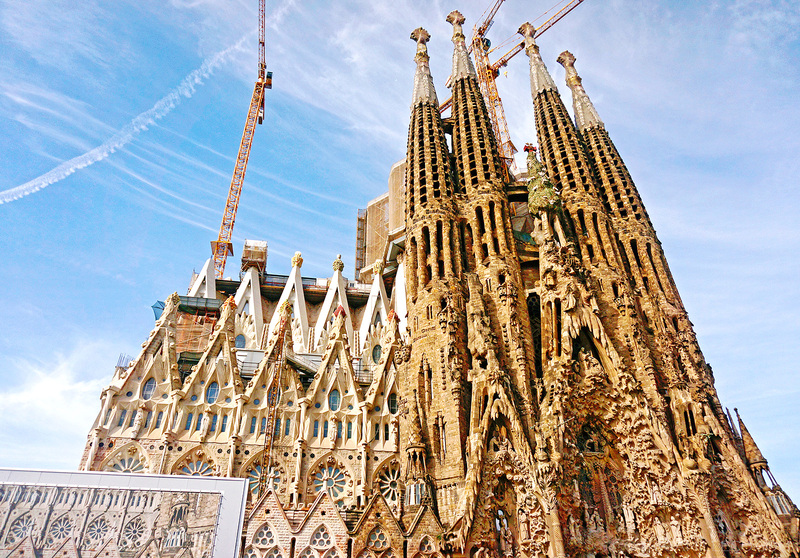 So much has changed since I first visited La Sagrada Familia. Yes the cranes and construction equipment are still there because of the work being done on the Glory façade but it already looks so much better! It is said that once completed, the towers will be even taller! 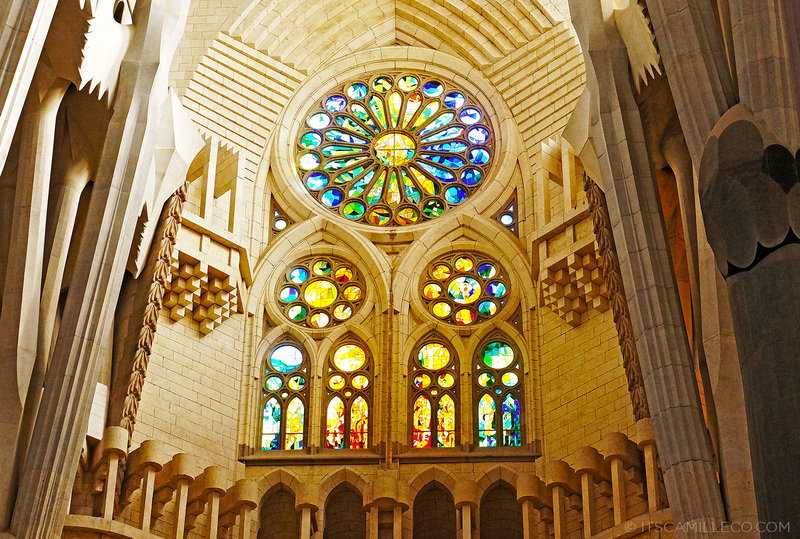 As you can see, both the exterior and interior of the church were heavily influenced by nature, as with all of Gaudí’s work. From the pillars to the ceiling and even the stairs, they all seem to resemble trees and branches. The four evangelists Mark, Matthew, Luke and John, each has a symbol on the column capitals. This one is John’s. Gaudi made sure plenty of natural light come into the church and this is one of my favorite things about La Sagrada Familia. Most churches in Europe are always so dim and dark. Look up and this is what you’ll see. It’s like a forest! 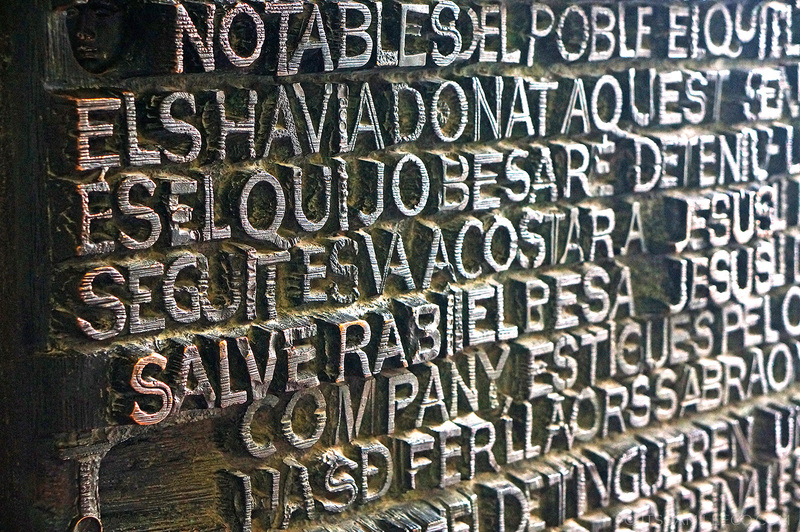 When you exit to the Passion façade, you’ll see this door full of engraved words in various languages taken from the Bible. 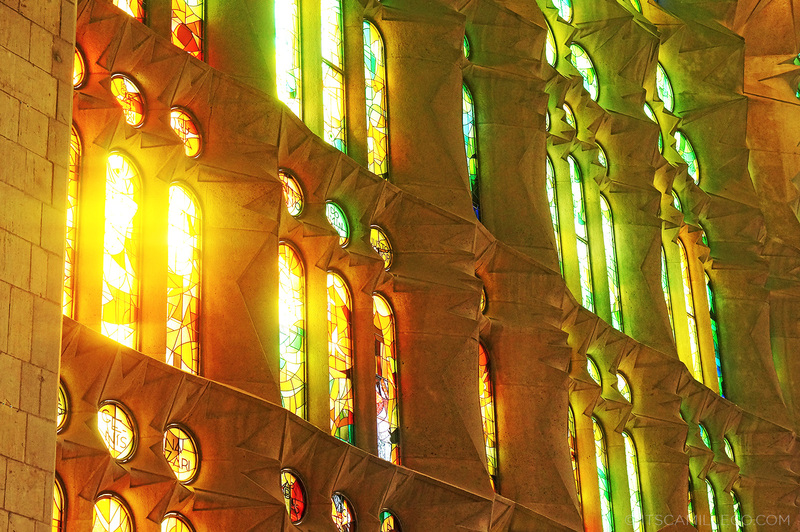 I can’t believe in the many times I visited Barcelona, I never toured inside La Sagrada Familia. I highly recommend taking time out to visit this place. It’s not enough to just stare at it from the outside. You have to know all the little stories about it. 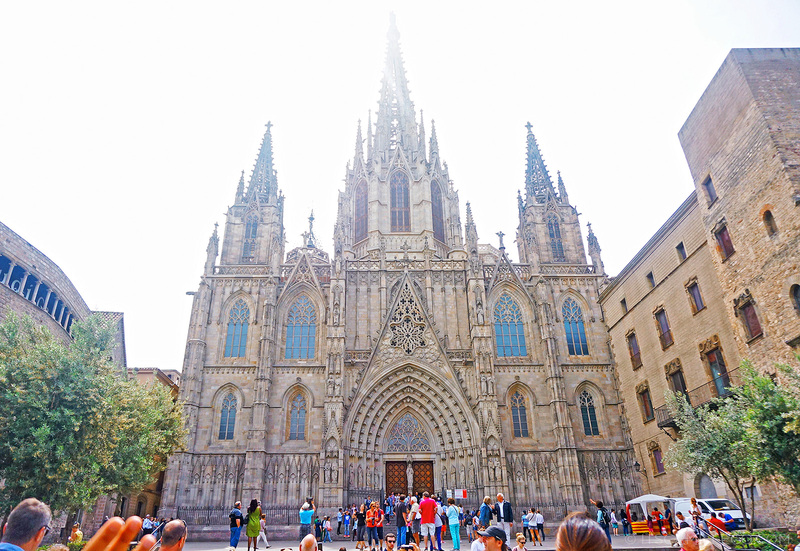 A trip to Barcelona without a La Sagrada Familia tour is a huge waste of opportunity. HUGE. 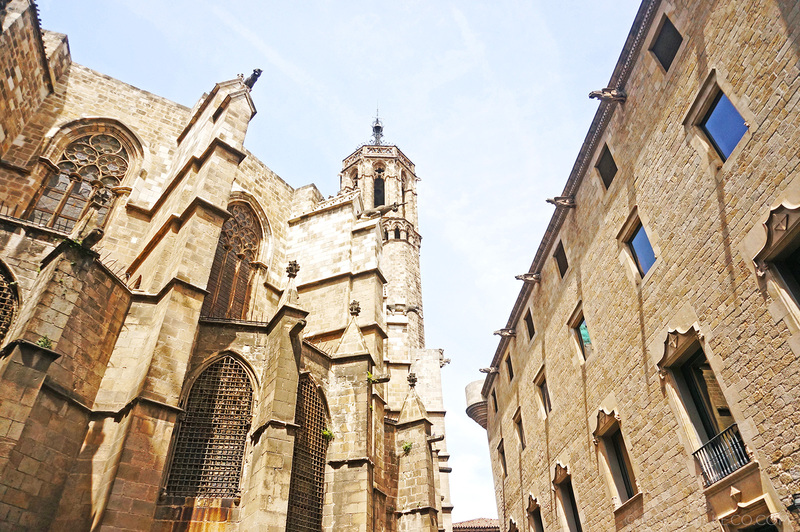 Our next stop was the Barri Gòtic or Gothic Quarters. Although I’ve been here before, there’s so much to see and history to tell that I really didn’t mind going around the area again. 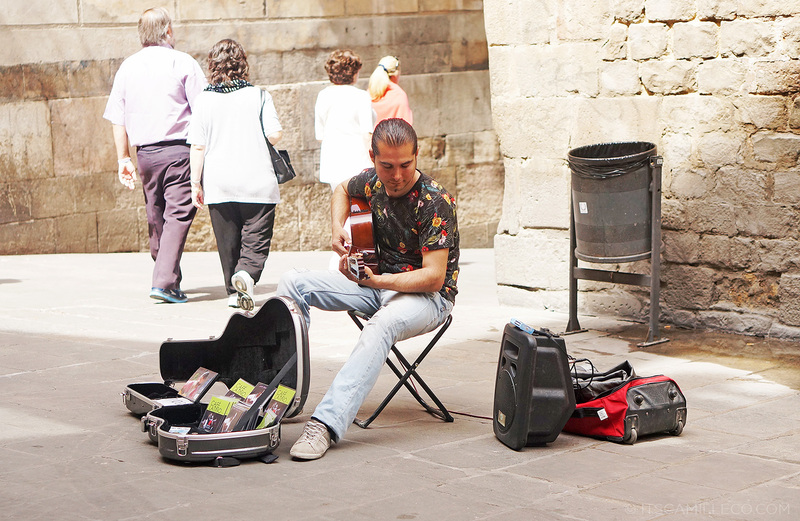 Most of what you’ll see here are from the Medieval times so you can say it’s Barcelona’s version of their old town. 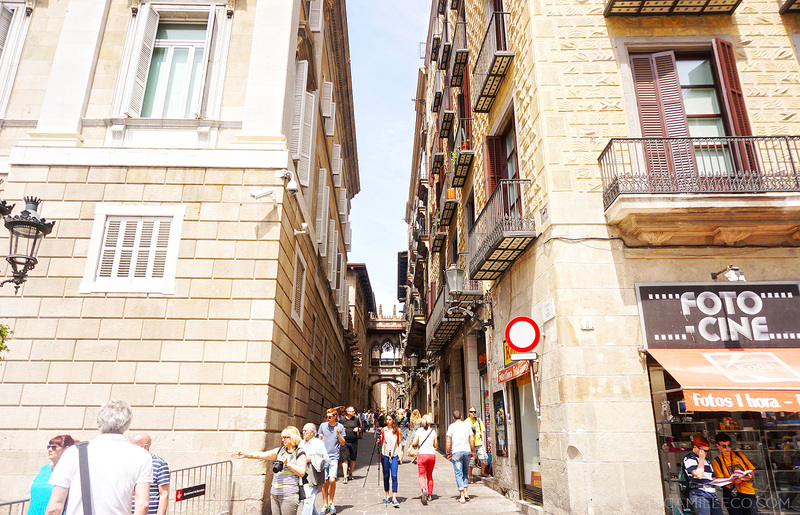 One of the streets near the Cathedral, Carrer del Bisbe Irurita. Here’s you’ll find an old overpass in typical Gothic design. 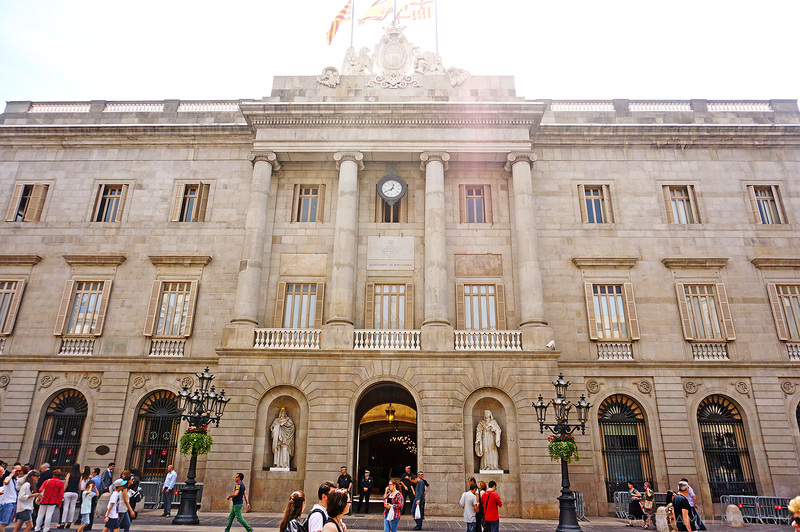 This is Casa de la Ciutat or the City Hall at Plaça de Sant Jaume, one of the bigger squares around the area. This was constructed during the 14th century. 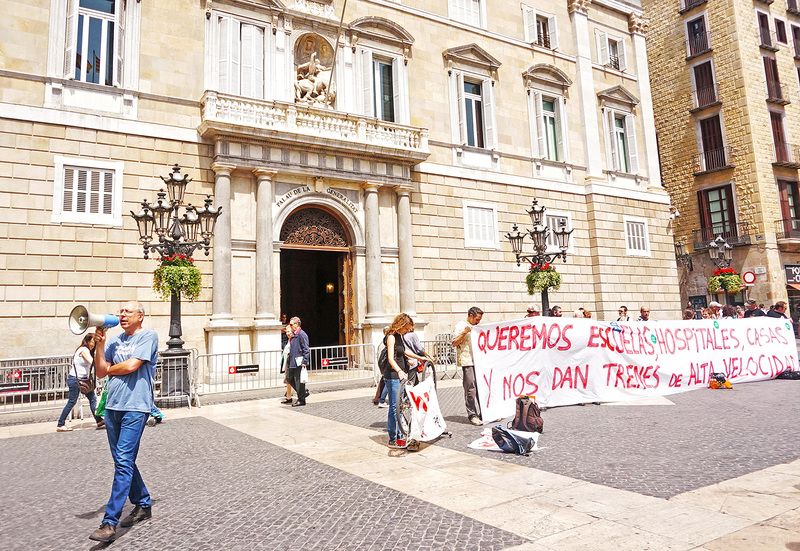 We came across this group of protesters outside the Palau de la Generalitat de Catalunya or presidential palace, located across the city hall. I thought I was in for an even more exciting afternoon! I wish I knew what they were protesting about. 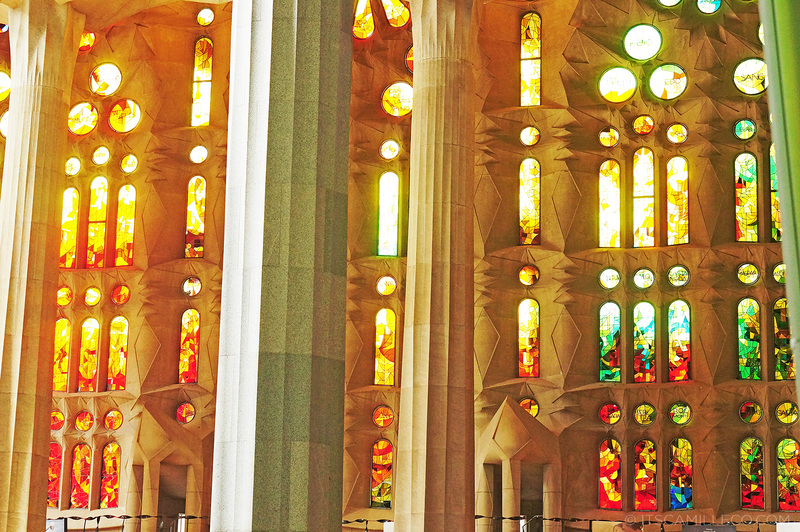 Although La Sagrada Familia is arguably Spain’s most famous church, it isn’t the city’s cathedral. 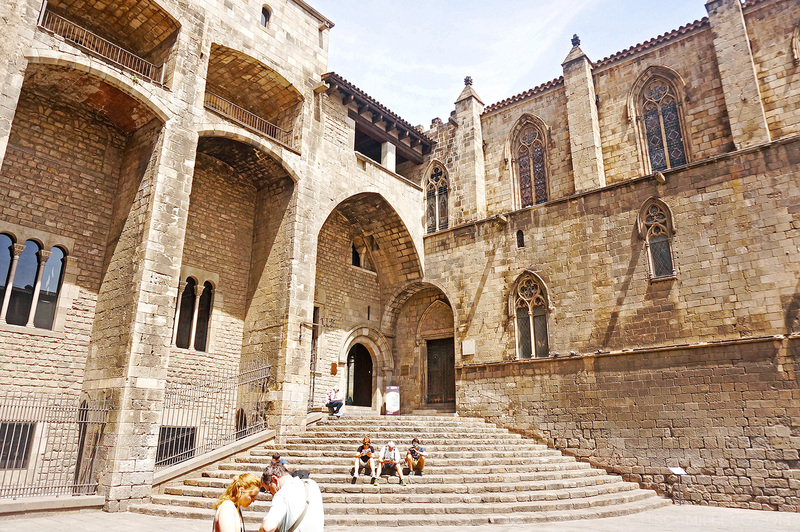 This is THE Cathedral (La Seu) located at Plaça de la Seu. 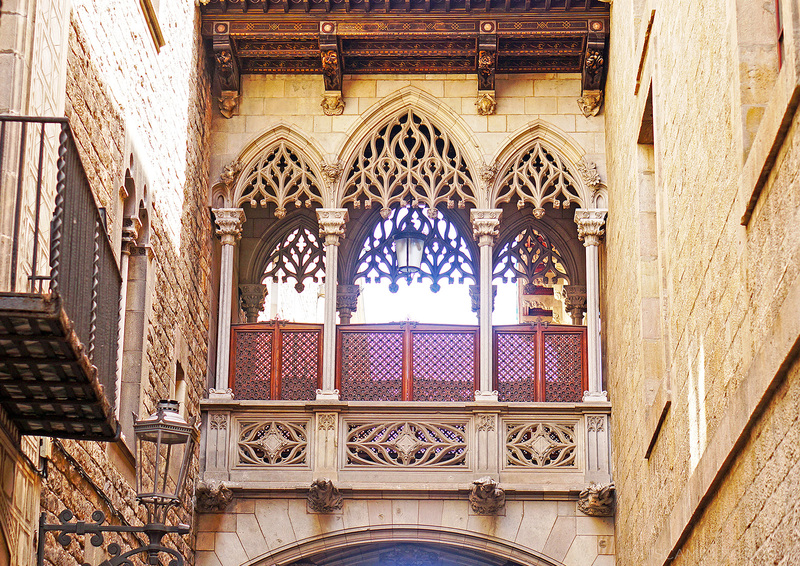 It boasts of fine Gothic architecture and is dedicated to Santa Eulàlia, the patron saint of Barcelona. It’s beautiful in a different way as compared to La Sagrada Familia. The inside of the church is worth taking a look at as well. This is an underground synagogue inside the Jewish Quarter called the Major Synagogue. Our guide told us during the Medieval times, there was a rule that no synagogue can be bigger than the smallest church in town, hence its design. 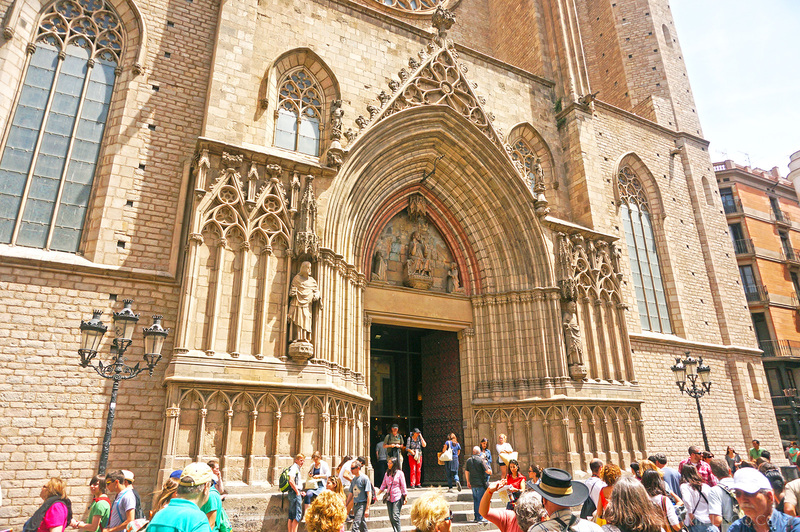 This is Santa Maria del Pi, a basilica located at Plaça del Pi. I was really fascinated by the gargoyles around this church. Spot the unicorn! Barri Gòtic is pretty close to La Rambla and Plaça Catalunya. Do you remember this place? I took outfit shots here before! Although the tour centered around Barri Gòtic and La Sagrada Familia, we passed by some of the other tourist spots as well like Gaudi’s La Pedrera. I recommend you visit this as well if you have time, especially its rooftop! 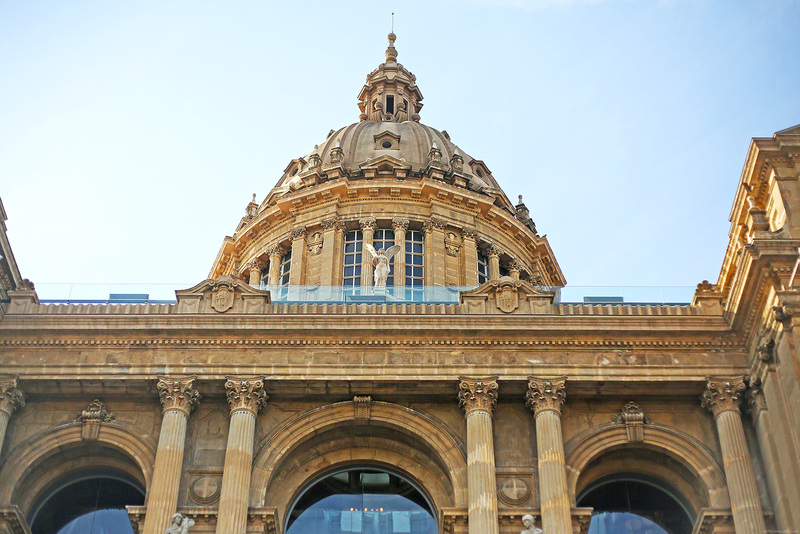 Another visit to MNAC won’t hurt, especially if it looks like this. Did you know this museum was built especially for the Olympics? want to go there soon! Im so amazed by the beauty of Barcelona,can’t imagine in real life. He really is a genius! I love how vibrant the colours are!! This post made me appreciate and love Barcelona so much. Gusto ko din makapunta diyan one day. Maybe not now, but after I finish my studies. It is so beautiful and breath taking! Definitely a must place to visit! Thanks for sharing the pictures of your trip! I fell in love again. hi ate camille!! your pictures are gorg. what camera do you use? Oooohhh. Thank you for this Therese! Every. Single. Detail. Is. Fascinating. Grabe! The La Sagrada Familia, 2028 pa? I wonder how much better it will look like after it is finished. Modern, minimalist and sleek architecture are good but there is something about these gothic and ancient architecture that will always amaze the people. Classic it it. I guess there is no explanation needed why. Btw, aliw with the Kryz Uy’s favorite pose you got there. Hehe. Cute! Thanks Lourine! :) Yes you can! Hi Tricia! I´m from Barcelona and those protestants were against spending public funds on the AVE (“super fast” trains here in Spain) rather than on hospitals, schools etc. They’re protesting that they want schools, hospitals and houses but the government gave them fast trains instead .. ;) Gorgeous photographs! I heard na if you visit a certain church for the first time, you pray for your special intentions at matutupad daw yung prayers mo. 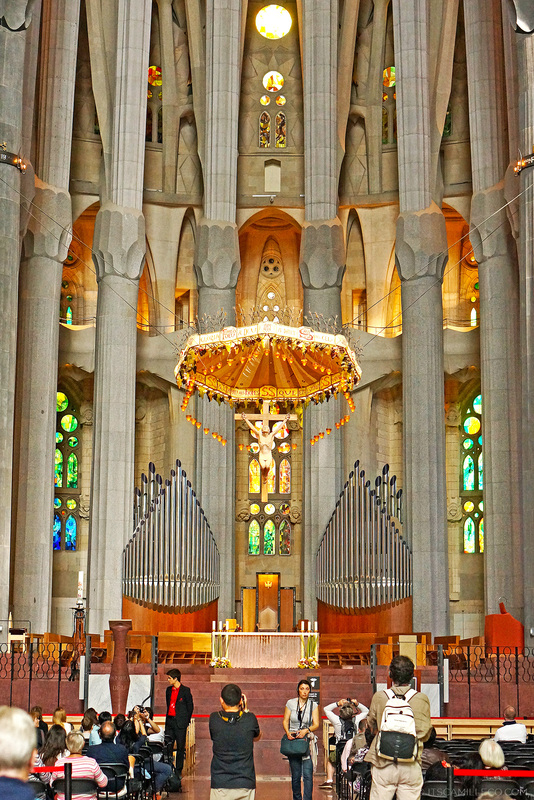 I’m not sure kung totoo yun, but for a Catholic like me, visiting a church as grand as Sagrada Familia will give me such a special feeling na parang you’re in a holy place that will leave you speechless. Sana naman we’re all happily married with cute kids :) I didn’t know that saying/belief! Sooooooo AMAZING!!! I wanna go there too!! I would love to travel to Barcelona someday. Thanks Camille for sharing your experiences with us! Ohmygggggggg.ajehjsjsnsn Can’t believe Barcelona is a very VERY nice place pala. Definitely, a must go-to place. 100+++ thumbs up!! Love the content!! Made me learn something new about that place. Thank you for showing us that pictures!! Wow love the designs!!! Soon,Barcelona!! SOON! It is! 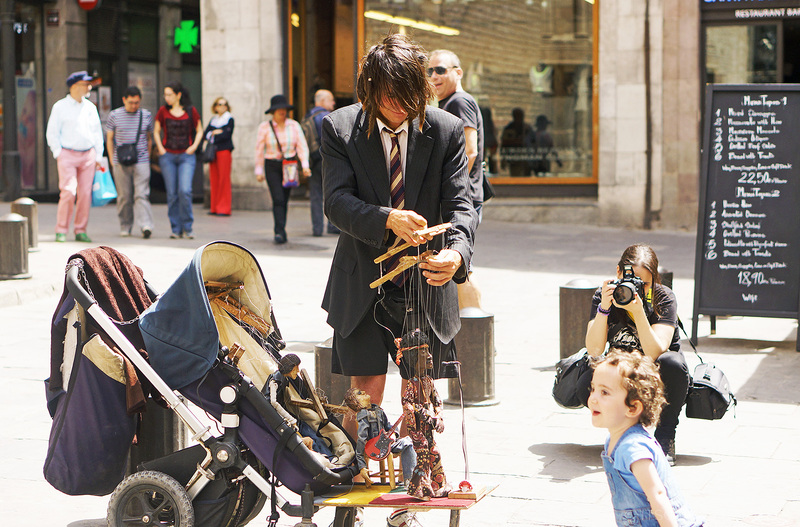 I know so many people who love Barcelona :) You will too! Hi Camille, I just wanna know what camera and lens are you using? Your photos are great-looking. Hope you can visit Bacolod soon. MassKara, perhaps? Napagod ako ng slight LOL :) Thanks Galagala! This was well worth the wait, Miss Camille! And yes, I did miss you! Golly, where to start! Each photo is more beautiful than the last! 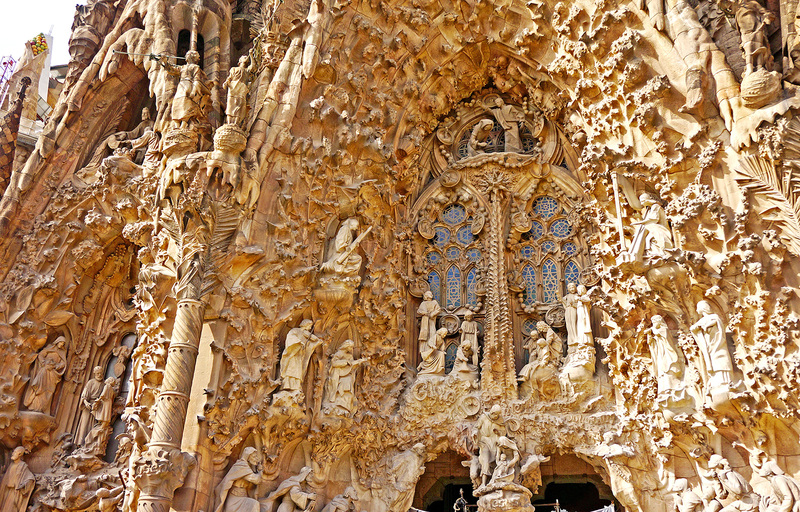 I am still very much fascinated by the details of La Sagrada Familia. Each of the three facades you presented are in very heartwarming detail. I can’t believe it will still take years and years for it to be completed! Each structure you showed here has a tributing factor to natural light. I find this detail to have it’s unique stamp here in Barcelona. The elements are majestically built, yet somehow toned down to earth by the effect of natural light. The artists succeeded in making sure that both simplicity AND details of their work would be remembered and admired. Just viewing these pictures are a joy! 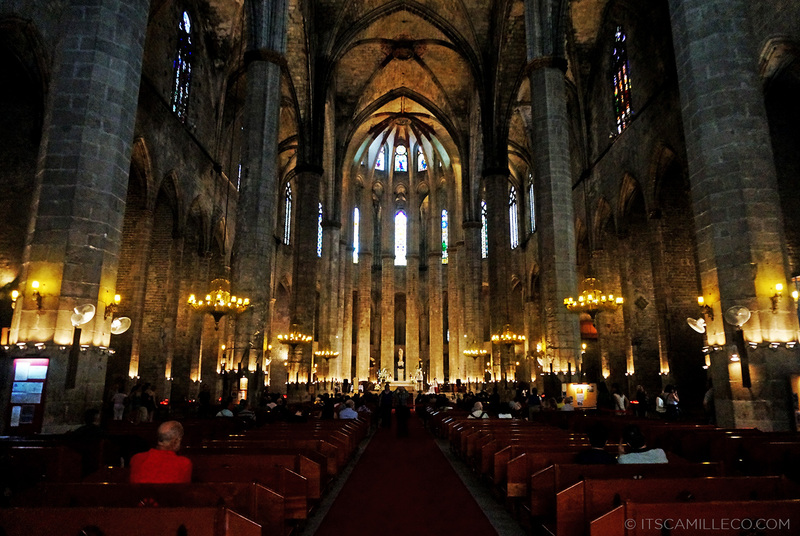 Santa Maria del Pi has a HUGE interior! It looks and feels so solemn. The candlelight off the stone pillars and the wood of the pews really puts you in a reflective state of mind. As for the small synagogue, thank you for giving us this peek into the old heritage of Spain. I love the colors of that underground place. So rich and strong! 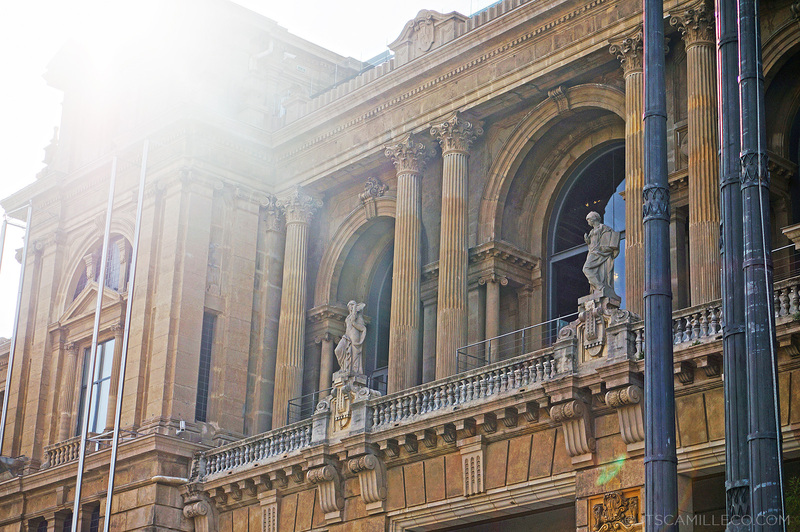 Your photos at MNAC gave me some new angles. I viewed the place with fresh eyes. In the third to the last photo, does that hedge opening in the greenery lead to a garden maze? Because, WOW! It is so Anastasia! P.S. I found the unicorn! About the protest hm I'm not yet that good in Spanish but idk haha i think they want to be given high velocity trains? HAHA i'm not sure :))) I need to study more haha! LOL you need to study more nga! :) Thanks Arianna! I missed everyone too! Thank you Ren! I’m touched you still find time to visit my blog and leave sweet comments even if school has already started :) Did you get to go? Did I get to meet you? This church was absolutely spectacular. 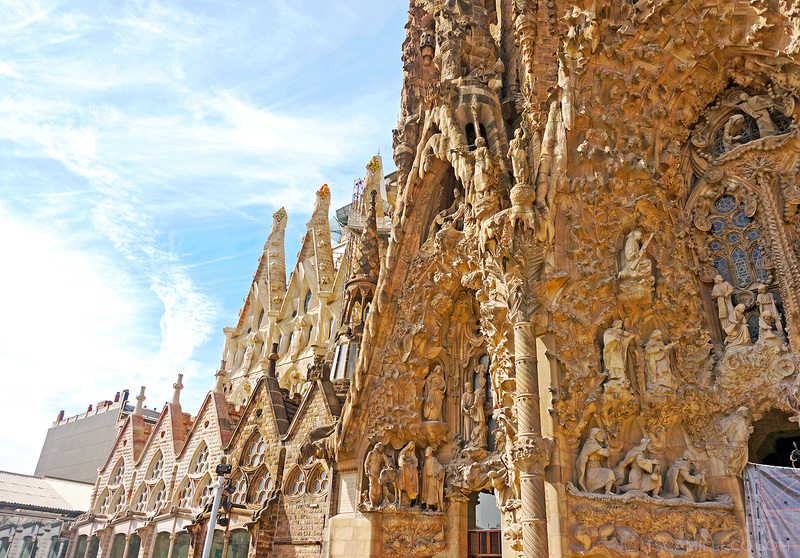 Gaudi’s masterpiece is one of a kind, now I know why they called him as “God’s Architect” and known as one of the best Architect in the world. 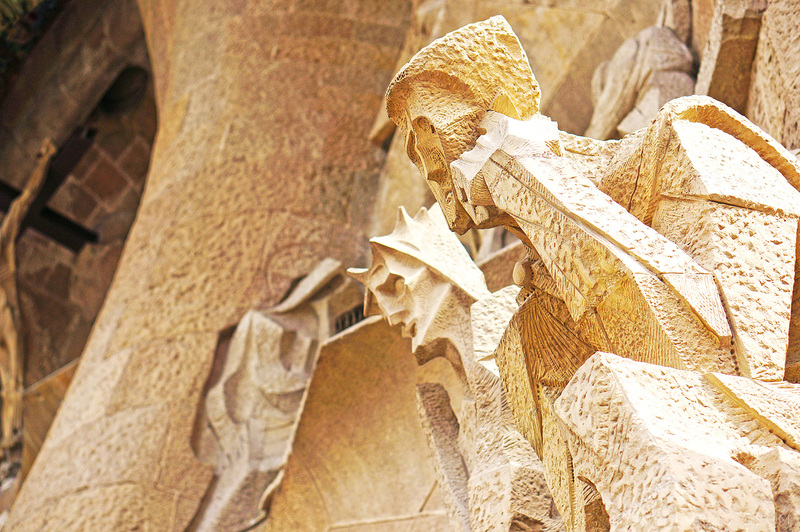 But how do you remembered every single details of the history of Gaudi’s La Sagrada Familia? You’re not just a great fashion designer but also a good historian and that is why I really admire you. I was just whining earlier this evening because i was wondering why there is no email saying you’ve got a new post. I thought something’s wrong with my internet connection, but I’ve really visited your blog for confirmation and true enough the last post was June 4, 2014. I was wondering what’s keeping you so busy, hmmm maybe Camille’s still out of the country, but there you are again! Oh I really miss you, thank you for this exclusive tour through the very stylish guide ever. Hehehe love it!!! Lovely Barcelona! The photos were amazing, can’t imagine in real life. All the more in real life!